Colour has the ability to lift your mood and add a personal touch and ambience to any room. 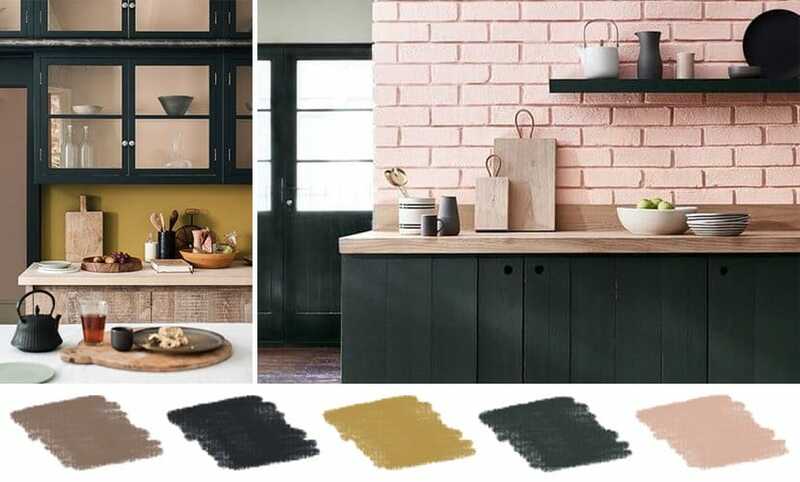 We tend to spend a lot of time in the kitchen, whether it’s for cooking, eating, socialising or working, so it is important to create a colour palette that suits your family’s needs and personalities. 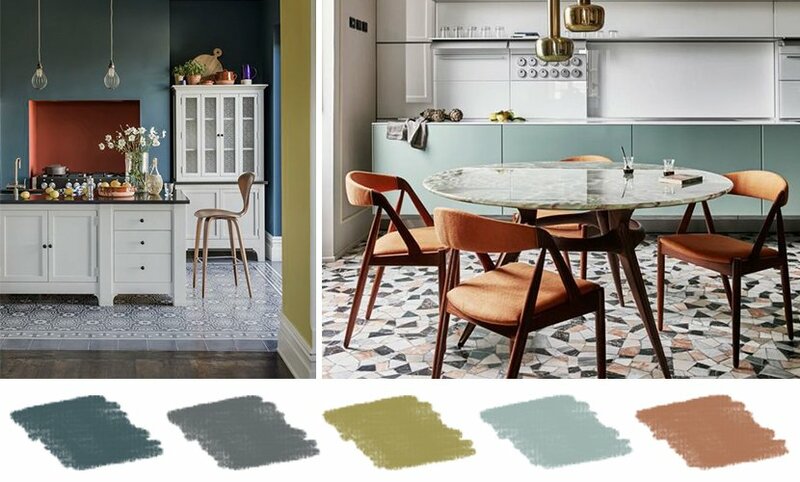 Here are 5 colour palettes that will make you want to spend time in your kitchen, whether for work or just for fun! 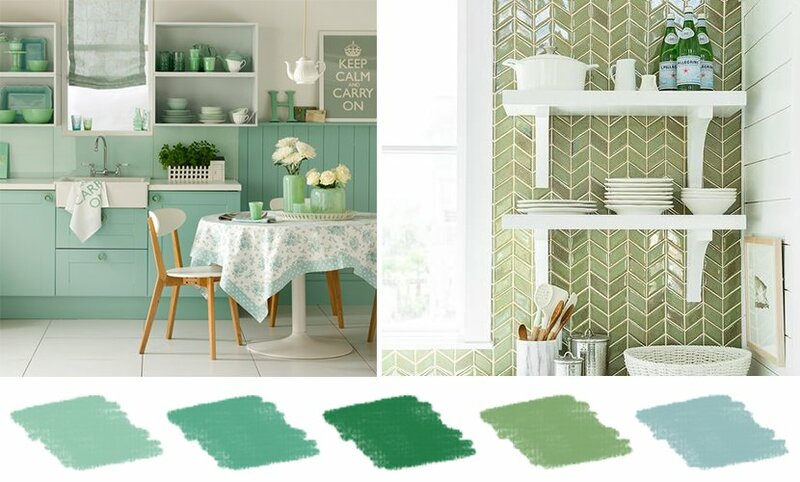 Pantone appointed greenery as its colour for 2017 and for good reason: this bright and breezy green revives the senses and creates a wonderfully fresh theme in a kitchen. It resembles not only the colour, but also our global movement to living more sustainably and closer to nature. 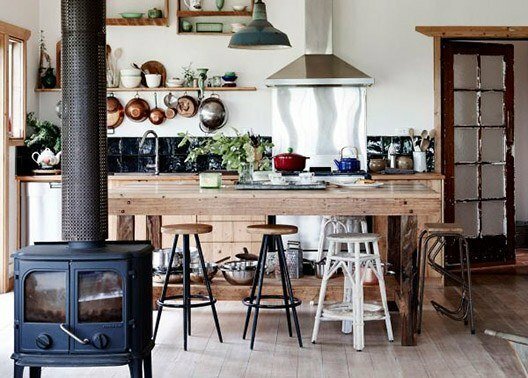 Get the look with a splash of paint, vintage tiles, accessories and even appliances. 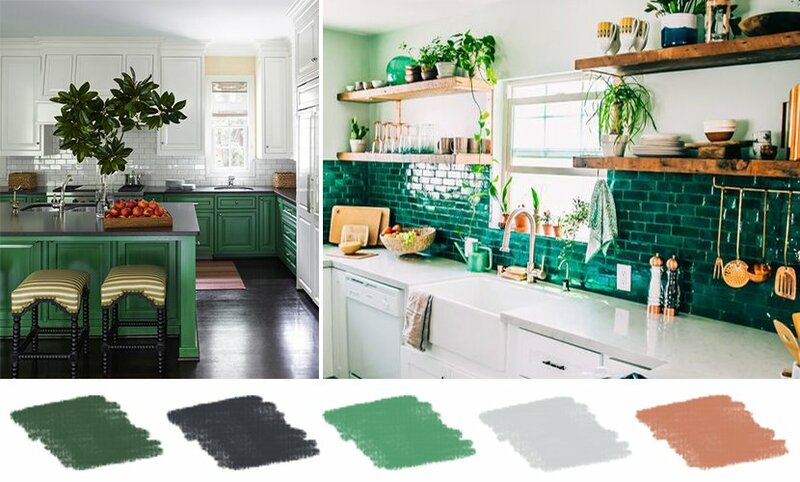 Or if you really want to embrace greenery in all its glory, choose green painted cabinets for a bold statement. While most people might associate a pink kitchen with an era gladly forgotten, soft dusty pinks combine beautifully with light wood and marble and can be just the touch to add warmth to a charcoal and black colour scheme. Choose muted pastel pink for a sophisticated look on walls or cabinets or a soft pink for countertops in natural stone or solid surfacing. Dusty pink also pairs surprisingly well with mustard and indigo and works beautifully with natural wood and stone. Teal has made a comeback in a big way. This moody blue is a design classic that can be complemented with natural wood, warm metals, olive, and terracotta. If you are not too keen on a dark colour for the room, then you can lighten things up with duck egg. Use terracotta to add warmth to the room as a floor finish, or as a flat colour on walls. Terracotta wall tiles can also be used for a backsplash, but always ensure that your terracotta tiles are sealed and maintained regularly to retain is natural beauty. For a few final touches, you are spoilt for choice when it comes to terracotta accessories and copper cookware to dress your kitchen up with. Use a combination or seafoam green, olive, pale blue and turquoise to create this fresh and calming kitchen. Paint lower cabinets in a vibrant turquoise with a lighter shade to add some depth to upper units. Alternatively, keep the cabinetry white and create a stunning focal with brightly coloured or patterned tiles on the walls. If you feel that this palette is a bit too cool, then you can easily warm it up with touches of red or pink in a few key accessories. Grey is such a perfect neutral colour that it can work in any setting. Whether you have a traditional French kitchen, an English country kitchen, or a very modern minimalist kitchen, grey will create the perfect backdrop. 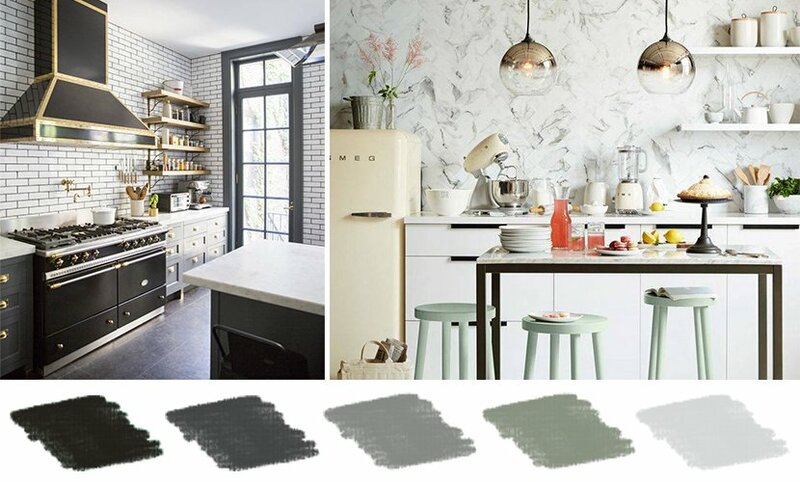 Grey can be warm or cool, so choose the hue depending on the look that you want to achieve. While this neutral can be used on its own with great success, it can also be comfortably paired with any colour. Grey is a great choice if you want to show off beautiful countertops, or to complement natural wood or marble.